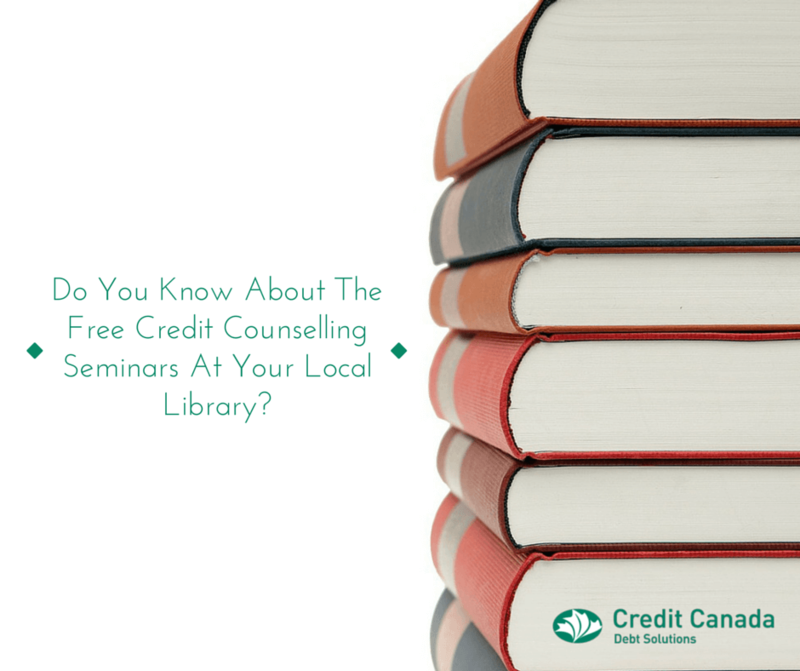 Do You Know About The Free Credit Counselling Seminars At Your Local Library? Maybe you want to learn more about how to manage your finances but you’ve no money to spend for professional credit counselling. Then again, you might be thinking a lot of money advisors out there have a secret agenda to steer more of your money their way. You have no worries about any of that with the financial guidance that’s available through the Toronto Public Library (TPL). The library offers free financial advice through an army of experts well trained in personal money management – and none of them has an agenda. Through free lectures and seminars, knowledgeable speakers address issues about personal finance at all 99 branches of the library throughout Toronto. The experts talk about everything from monthly budgeting and tracking spending, to long-term financial planning, and much more. Part of this army includes certified credit counsellors from Credit Canada Debt Solutions. We have been working to improve financial literacy among Canadians for almost 50 years. We are happy to be part of this community effort and will continue leading the charge. More people should consider the library when they think about financial literacy or starting a business. Having a TPL card gives you access not only to free financial advice, but to a lot of special business information like business magazines, annual reports, online databases, videos and reports. Information like this is crucial and essential in today’s business environment. If you live in Toronto, work in Toronto, go to school in Toronto or own property in Toronto, you are entitled to a free library card. For identification requirements - whether you are an adult, a teen-ager, a child, etc. or information on how to get a library card, check here. Another way to expand your learning is to acquire the monthly TPL Supporting your Small Business e-newsletter by emailing smallbiznews@torontopubliclibrary.ca to subscribe. It includes all the seminars and classes coming up each month. It also highlights databases, blog posts, and new books concerning small business and personal finance. For more information, get a personal finance booklet or review this website for upcoming programs.